-founded under the idea that one stick is not as strong as a bundle of sticks bound together "fasci"
Mussolini came to power in 1923 and used a paramilitary force called the Blackshirts for intimidation and extreme force to get what he wanted. 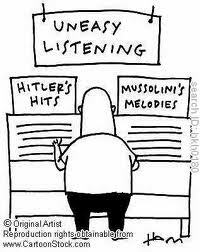 Mussolini invented fascism, which is a type of government that is non-democratic and a totalitarian dictatorship. 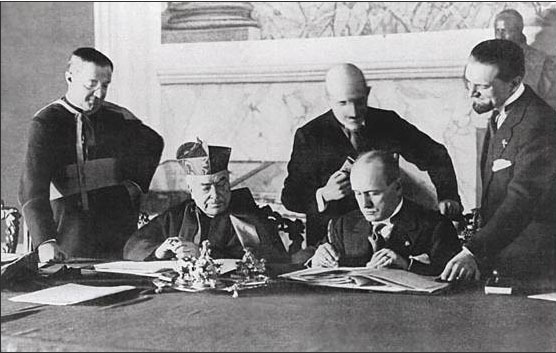 He signed a deal with the Catholic Church and Pope Pius XI that gave Mussolini the official title of the ruler of Italy, called the Lateran Accords.